Scout, Elyse, and Joe of Viking Construction last summer. 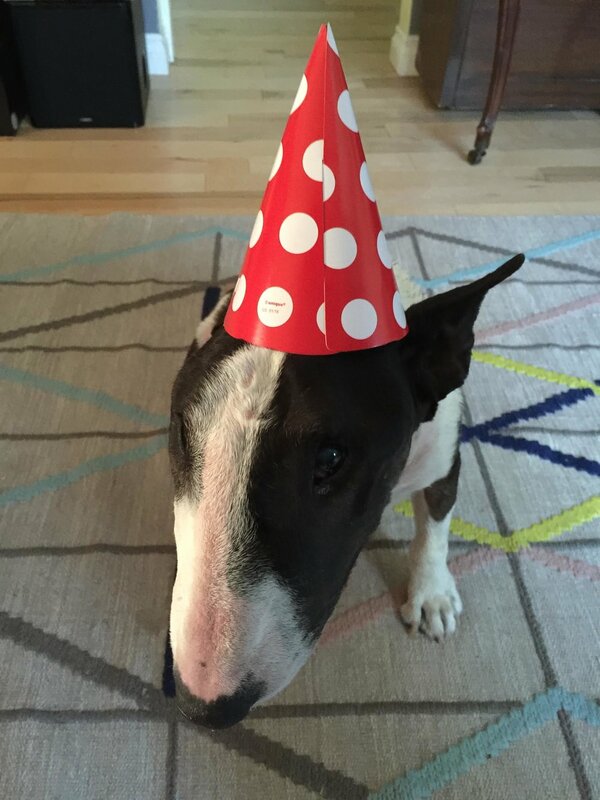 Scout, our ten year old rascal of a bull terrier, passed on peacefully December 28, 2016. A beloved member of our tribe, he enjoyed the backyard cottage for almost two months. He had cozy beds upstairs and down, loved the close proximity to the “big house” and had adjusted well to the new neighborhood. He was an active participant in the early stages of the project, sniffing and inspecting every step of the way. When Joe would drop by the West Seattle house to talk about building progress, Scouty sniffed him up and down and was fascinated with his boots. All the interesting smells were a foreshadowing of things to come. The cottage is quieter without him, but we know he is doing bully runs somewhere and will remain in our hearts forever.